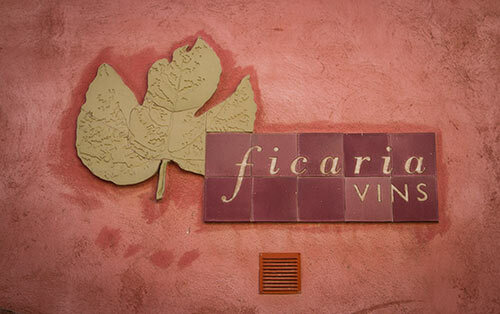 About the only words that come to mind when talking about Ficaria Vins are positive and gushing. The village of the winery, La Figuera is one of the most charming in the Priorat comarca. The owners, Jaume Roca and Montse Castro are thoroughly wonderful people who also happen to be locals from the village. And then of course there are the wines which are heavily Grenache-centric and show just how excellent this grape it when grown around this relatively high altitude village. I learned all of this while researching the Montsant wine book. During my visit, Jaume mentioned that they were close to full organic (or ecologic as it’s known in Catalan) certification and just this week they’ve announced that they have gained full certification from CCPAE, the Catalan organic certification board. It makes for a pretty fantastic package so if you get the chance to try their wines (especially the Cerverola or Pater) jump on it. Many people say that the best Grenache in DO Montsant is from La Figuera but Jaume in his understated manner just says, “it’s different”.